The Booty Blast is back on July 17th! 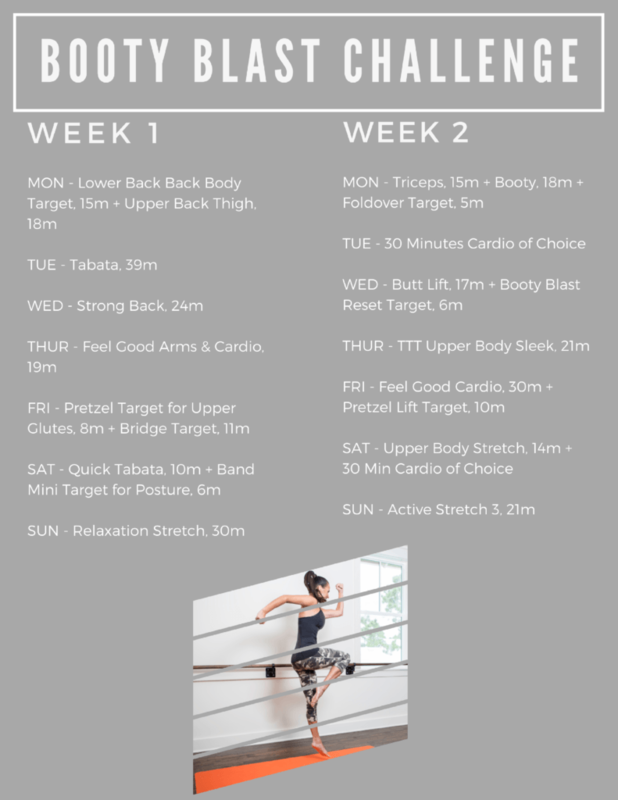 We did this challenge last year and it was a favorite, so we are bringing it back with updated workouts! I am so excited to emphasize the back body for this 2 week challenge. As a modern culture, we usually spend far too much time sitting, rounding the back, sitting on top of our “tails” with an internal rotation of the arms, shortened hip and knee flexors, and forward head posture. These things create tightness in the joints on the front side of the body and compression many different points in the vertebrae. Not only will this create poor posture, but it can also lead to pain in the body. This challenge is going to strengthen and stretch that back body! To participate in the challenge you simply need to be an active streaming member at Suzanne Bowen Fitness!Â On July 17th you will simply login to your membership account, click on “find my plan” and select the Booty Blast Challenge option. Your workout will then automatically show up on your member home page each day. You can download your printable calendar below!